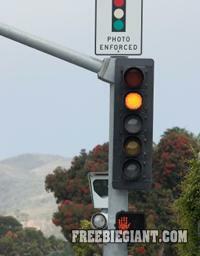 American Traffic Solutions Inc. and American Traffic Solutions LLC agreed to settle a lawsuit which involved the enforcement of red light violations in 27 different Missouri municipalities. To be eligible, you must have received a Notice of Violation of a Municipal red light camera ordinance for a violation that occurred before Nov. 21, 2014, and you must have already paid your fine. You do not need to show proof, but you must attest under Penalty of Perjury you did get a ticket and did pay. If you already received a refund from your ticket, you cannot submit a claim form. Some people already got notices in the mail, so if you have a Claimant ID Number, from that notice, you can click here to fill out the settlement form online. If you do not have an ID number, you can download and submit your claim form by mail and check all 27 municipalities by clicking here. You must submit your claim form by Feb. 28, 2015 to be eligible.